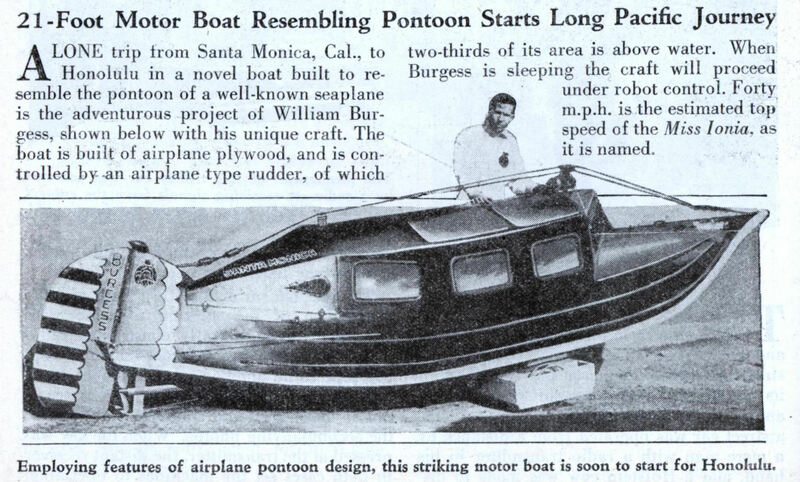 LONE trip from Santa Monica, Cal., to Honolulu in a novel boat built to resemble the pontoon of a well-known seaplane is the adventurous project of William Burgess, shown below with his unique craft. The boat is built of airplane plywood, and is controlled by an airplane type rudder, of which two-thirds of its area is above water. When Burgess is sleeping the craft will proceed under robot control. 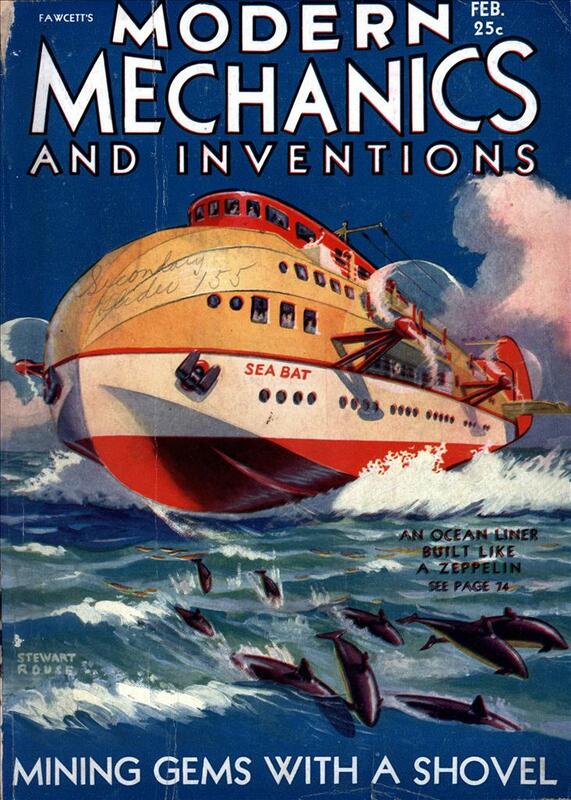 Forty m.p.h, is the estimated top speed of the Miss Ionia, as it is named.